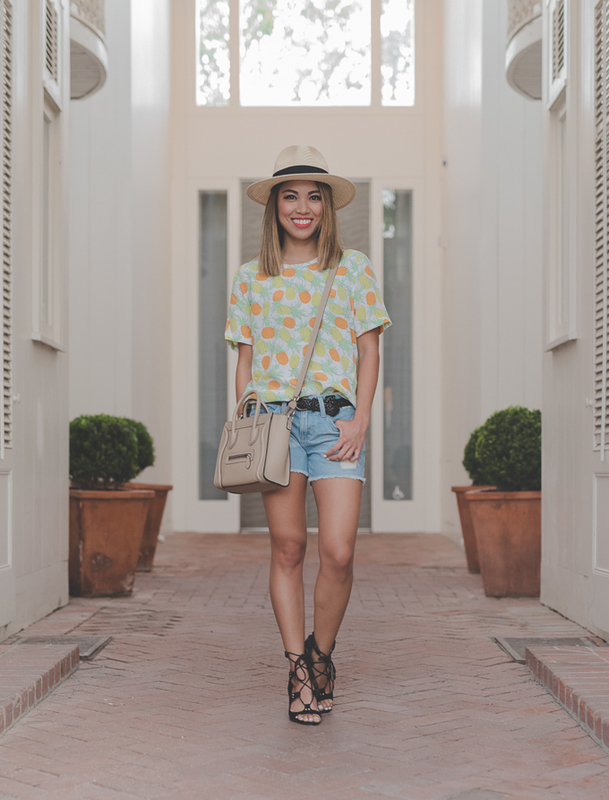 And to complete the whole look, I paired my awesome pineapple top with a light wash boyfriend shorts and accessorized it with my straw Panama hat. Now all I need to do is to figure out my tropical destination and book my ticket. Any favorites or suggestions?